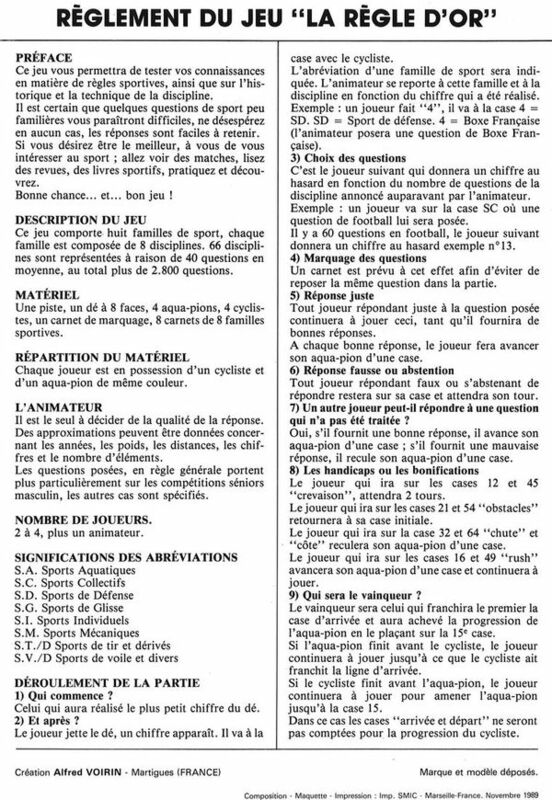 This game is hard to describe as "a cycling game", It is a sports quiz game, in which cycling is just one of the 64 (!) sports included. 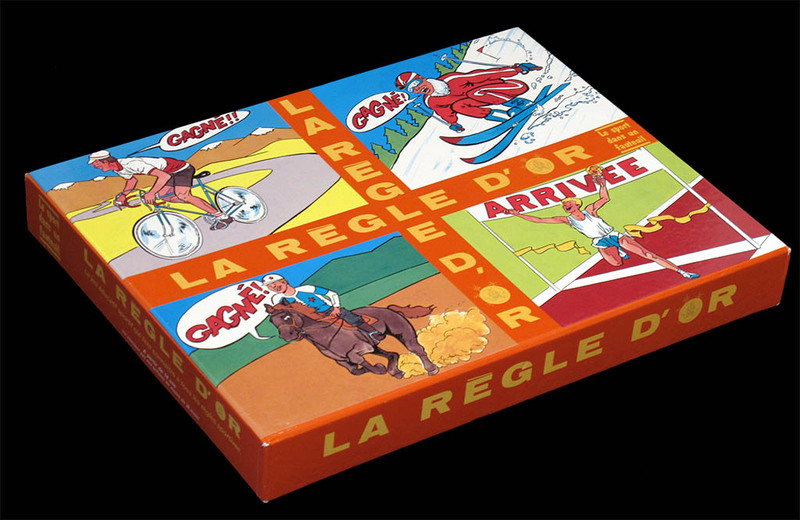 If I have included it in the collection is because it has cyclist-shaped figurines, and therefore it may look like a cycling game at first sight. 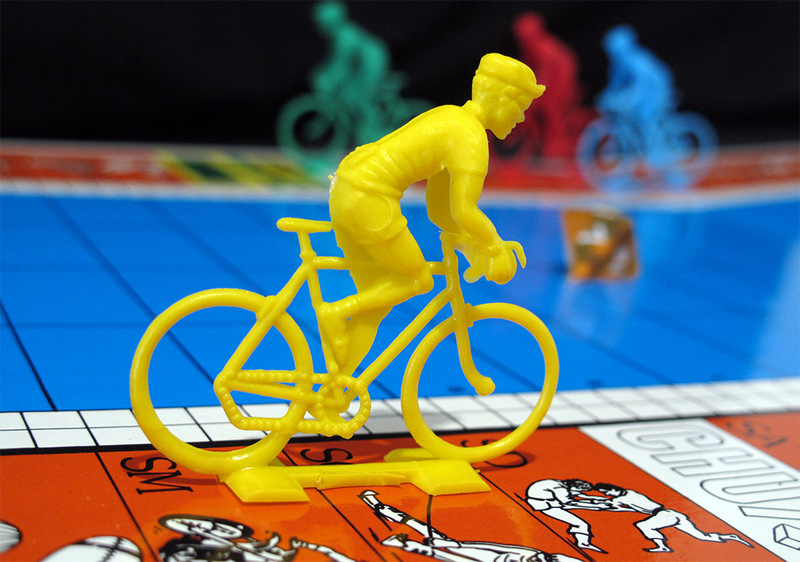 However, the cyclists are not really racing each other (this is left for the swimmer tokens, the game is rather a swimming race game) but only determine the type of question you are going to be asked. Even though this is a self-published game, the presentation looks professional. The box is quite sturdy. It measures 35 x 27 x 4.3 cms. The open board measures 76 x 33 cms, which is quite big. The figurines, as you can see, are unpainted Cofalus. They measure 5 cm which means that they are the 70s-80s Cofalus. (The modern ones are somewhat bigger). In my box one of the riders is sitting and the other three are "en danseuse", but that may vary from one box to another. 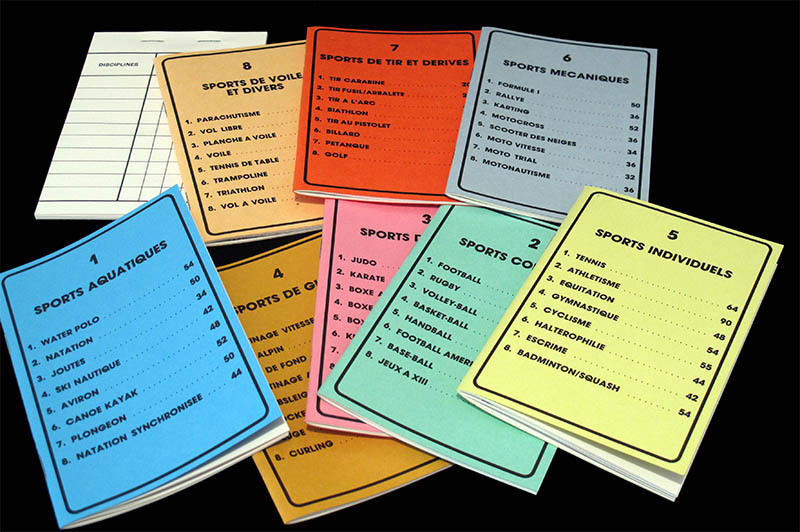 There are 8 categories of sports and more than 50 questions for each sport. A close look of the Cofalu figurines. 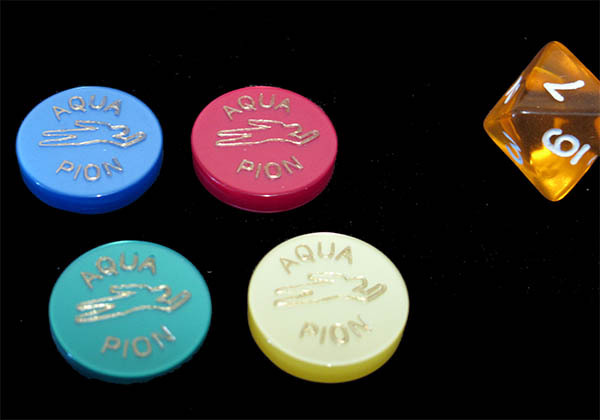 The swimmer tokens (and a D10 die). The cyclists are nicer. 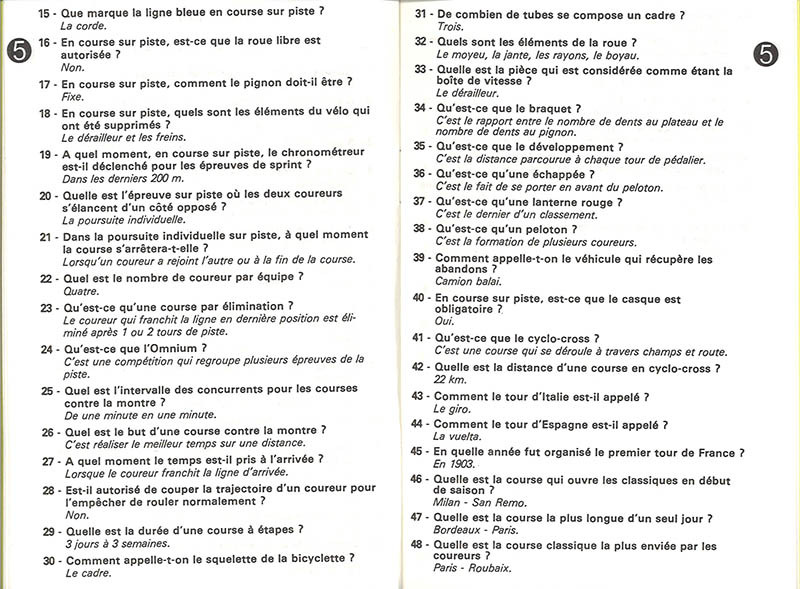 The rules. Not really a cycling game, as I said.